Trying to be plastic free at a festival was an interesting experience. I definitely think I went to one of the easier ones to achieve this at. 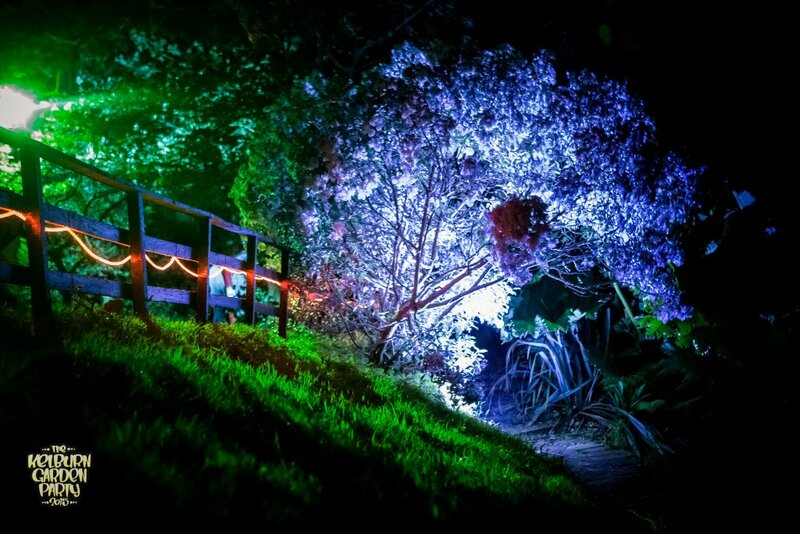 Kelburn Garden Party is small and run on a working estate so they are keen to avoid rubbish and general environmental damage. They also have an environmental deposit system, when you get your wristband they also ask you for a £5 deposit per person. If you bring a bag of rubbish and your fully packed up tent back to the box office before it closes on the Monday you get your money back. That seems like a sensible idea to me. However, since we were staying in the van and Mr IHR was there until the Tuesday I knew that was a fiver I would never see again. For us the plastic free planning started with our food and drink shopping. In the main we avoided single use plastic although a certain someone snuck in some crisps and took a couple of large plastic bottles of ginger beer! I opted for cans of tonic for my gin along with a nice glass bottle of lemonade from Fever Tree which was delicious. I also chose cans of cider as my other drinking option, which I would have done anyway to be fair, but did make a bad choice with the flavour – it was too sweet even for me and that is definitely saying something! The cans of tonic actually made it really easy to mix drinks into the reusable drink bottles and cups we had, perfect for wandering around the campsites seeing friends, so I would definitely take those again. In terms of actually in the festival I was disappointed to be given a plastic bottle of water when I asked for water, I even made sure to say – “no can I have some tap water please” but was told we couldn’t drink the water. This confused me as I was sure I had been drinking the water last year, sure enough I found the tap later on but at least I used the water bottle numerous times. On a happier note all the plastic cups for drinks sold in the festival were actually made from plants and are fully compostable! How great is that? I would still like if I could just take a reusable cup but at least it is a good step for a festival to take. I also made sure to take my bamboo reusable cup for my tea and coffee in the morning as I didn’t feel like firing up the camp stove in the rain. 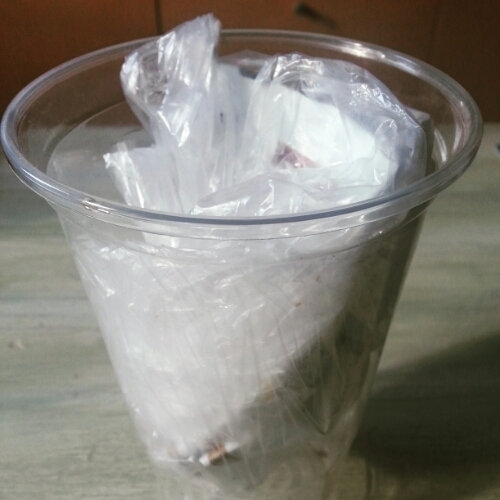 I did end up getting biscuits with my tea once hence the two wrappers and I also ended up with the one non-plant based plastic cup which I actually have no idea where it came from! There was still the sad sight of broken and discarded tents and lots of rubbish in the big bins provided at the general camping site (I was in the crew camping site – I know, I know get me) when my mates and I left but it comparison to pictures from other festivals there weren’t many. I also like to think that fewer tents would have been left if the weather on Friday night hadn’t been so horrendous. So the unsurprising secret to a plastic-light festival? It really is all the preparation and organisation, which is something I am not very good at in my day to day food planning! Also attending a festival where there is an emphasis on nature in general definitely helps – I don’t think I saw one piece of litter in the glen the whole time we were wandering around. I have summer cold and a hacking cough but the sky outside is a beautiful blue, the water of Leith is still and the sun is slowly setting so you know what, it really isn’t that bad. I just wish I could sleep properly so apologies if there is any daft ramblings in here. This brief illness, I hope it is brief, has also postponed any trips local tourist trips but on the plus side I had a brilliant time at Kelburn at the start of July and that’s what I thought I would blog about today. I am planning another blog post about their single use plastic shortly. So that’s my yearly festival trip done. I’m not brilliant with big crowds and after one day at T in the Park many years ago I had kind of decided that weekend long festivals weren’t my thing. Mr IHR has been to lots of them and had recommended I come to Kelburn Garden Party but a mate’s hen do meant the first year I joined him was last year. I was nervous and thought that no amount of scenery or music would make me enjoy myself, I steeled myself to endure the weekend rather than enjoy it. 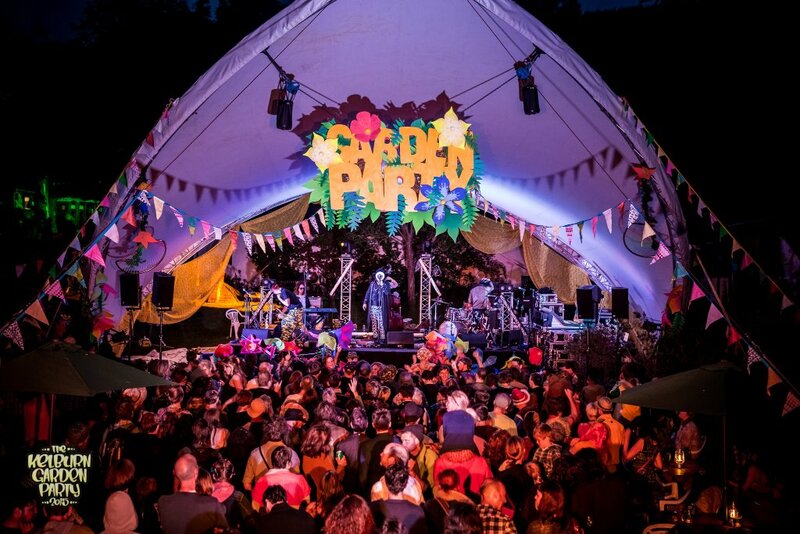 I was proved entirely wrong – last year I adored Kelburn I loved the place, the music and the people we were with. I took hardly any photos, same this year actually – but I remember it well. This year the weather wasn’t as kind as last year. Friday night ended up in a tent-aggedon situation with people returning in the howling wind and driving rain to find their tents flat and gathering water in what had been its roof. I was cosy in our van, wrapped in a duvet in a gin-based sleep but the wind did wake me once or twice. One of the stages (The Landing Stage run by Chapel Perilous some of Mr IHR’s friends) had been destroyed and their equipment flooded but due to their absolutely, amazing, awesomeness they were back up and running by nine o’clock on Saturday night. Their stage was truly breathtaking on the Friday night with the music seeming to come from every direction and incredible visuals. Saturday and Sunday they only had half the stage but the sound was still enough to force you to move and dance up a storm. Friday night I particularly enjoyed Sketch the Rhyme and Nightmares on Wax. Kelburn had extended the site this year up into the glen with art sculptures dotted around the trail. I didn’t care for a lot of the art sculptures but that’s just my taste. The twenty minute trek up through the trees to the furthest away stage was stunning, past waterfalls, through tea caves with background music from the various other stages drifting up the trail. When the treetops seemed incredibly close and the gorge to the stream steeper than ever the noise of an old school rave could be heard. Sitting on a log, drinking a cider with friends punctuated by dancing like a loon in the treetops was lovely way to spend a Saturday afternoon. Dancing into the wee small hours with good mates and some White Russians were the perfect way to see the sunrise on the Sunday. Saturday night gave me a new favourite band too – Gentleman’s Dub Club and then I got to relive some Glasgow memories courtesy of Optimo. Sunday was fuelled by a three course breakfast courtesy of my mates. The right fuel to explore the Secret Forest which comprised of goblin castles, wee wooden houses, chinese-style pagodas and a gingerbread house. More dancing followed with Orkestra Del Sol being a highlight along with DJ Vadim & MC Sena and some fireside chat while listening to Rozi Plain (not a favourite of mine but my friends loved her) and watching the sun. Kelburn is a beautiful estate. The trees and glen are stunning and the views across the Firth of Clyde as the sun goes down and comes up can’t help but make you smile. The castle itself is special in its own right having been graffitied with colours and images jumping out at you and each time you look at it you see something different. 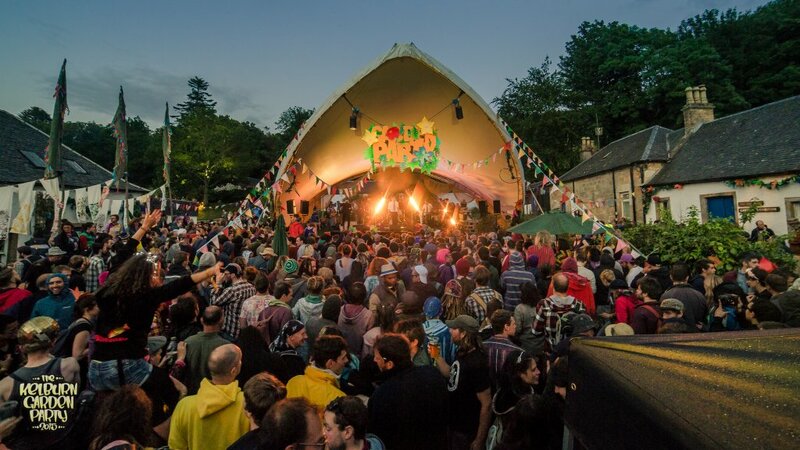 We always talk about going through to Kelburn at another point of the year just to see what it is like – as yet we haven’t managed it! As someone who will probably never go to Glastonbury or any of the big festivals Kelburn is just perfect for me and I would recommend people try to get a ticket. I’ll see you there with a cider in hand dancing like a maniac to some good music! 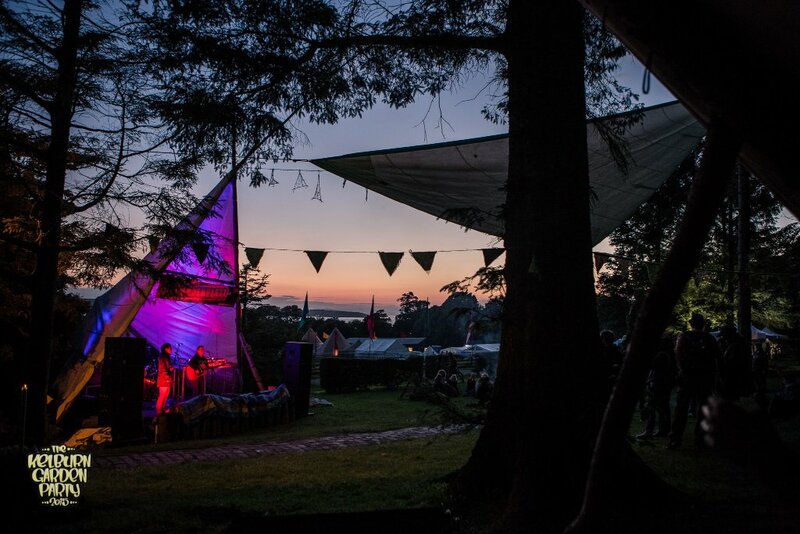 *All photos are from the Kelburn Photo Gallery 2015 the images used are photos taken by Graham Wynne and Stevie Powers. Plastic free fruit where are you? This month I am trying to refuse all single use plastic and also trying to spend some time nourishing myself food-wise and culture-wise. In Scotland seasonal soft fruit is brilliant. The taste takes me straight back to my childhood where we used to take trips to the pick your own fruit farm to gorge on fruit and play on trampolines, sometimes we even managed to take home a punnet or two. These trips also provided my family with one of our randomest favourite phrases ‘Get out the mangetout! !’ – let’s just say hearing that over a loudspeaker is really amusing. So that meandering story brings me to raspberries – my favourite fruit of them all.In Scotland they are now in season and nowhere can I find them not in plastic. I am on a mission now but I fear I will cave. Fruit not packaged in plastic seems hard to come by unless I trade local, seasonal fruit for hardier fruit such as bananas, oranges and apples but these are currently better travelled than I am and these things bother me greatly. It is a conundrum but a new, incredibly local farmers market to scope it out – wish me luck! I am really craving fruit at the moment as I have discovered a new ridiculously simple breakfast of overnight oats. The addition of raspberries to this dish was lovely, think breakfast cranachan. 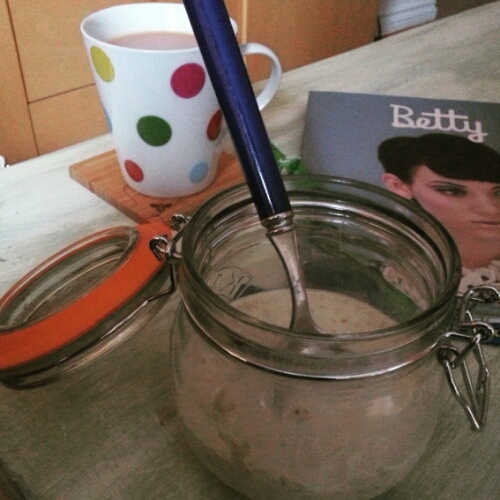 It is so simple to make – currently I am using 1/2 cup of oats and 2/3 of a cup of milk, mixing it in a kilner jar and leaving overnight in the fridge. I have seen others use milk and yoghurt but bizarrely since being vegan for a month in February I have been finding yoghurt really unappealing. I would try coconut yoghurt but it comes in plastic – plastic is literally everywhere! An attempt at a plastic-free soul-nourishing festival trip will explore that a little more. 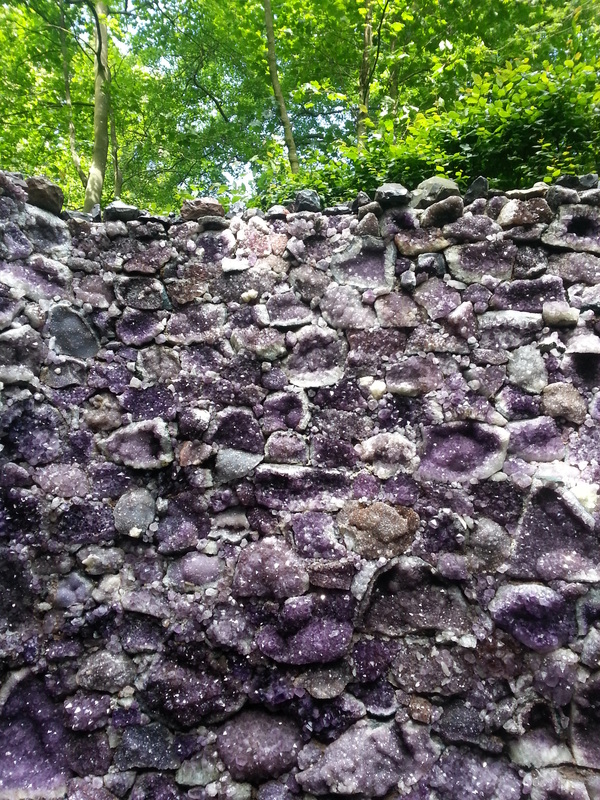 In the meantime why not head on over to see Katie at Sustainability in Style and catch up on how her nourishing July is going? I sometimes wonder if my love of Scotland is born slightly out of my fear of flying – as a way for my brain to trick me into not feeling as though I am missing out when I see amazing photos from around the world or when I see far flung friends and family whose lives are constantly changing and we aren’t as large a part of anymore. Then I tend to stop thinking and analysing so much and head off into my local area.